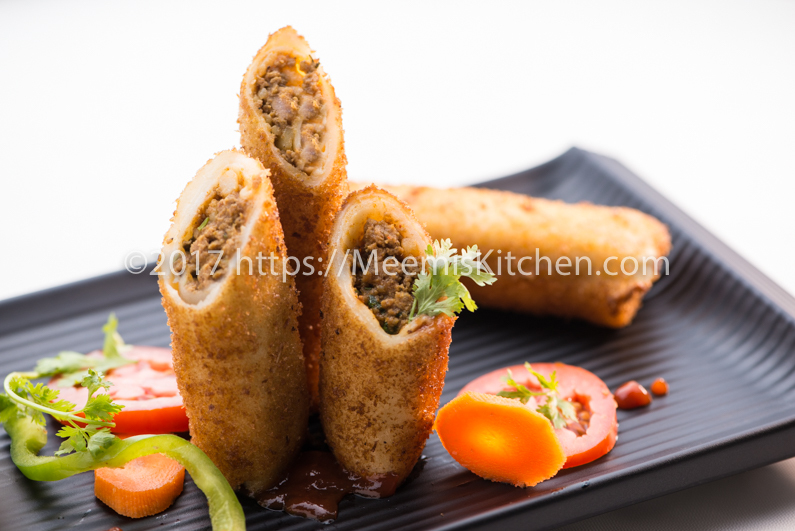 Meat roll or Minced Meat rolls are perfect crowd-pleasing appetizers that you can serve for all sort of parties. Since, the Holy month of Ramadan is here, I decided to post my favorite Meat roll recipe as Iftar Snack for all my Muslim friends. It is a great time for prayers and devotion, that also encourages the spirit of sharing and giving and develop positive feelings. After day long fast, where they observe abstinence from eating and drinking, the family and friends comes together to break the fast at Iftar. With a grand spread of rich golden dates, dry fruits and sherbets, followed by delightful bites like Crispy cones with spicy/ sweet filling, Samosas, Paneer Puffs, Chicken Momos, Egg Puffs, baked rolls, fried meat rolls, Chicken Pizzas or Paneer Pizza, Chicken Kathi rolls and the fragrant, colorful Biriyanis, Special Haleem, Kebabs and enticing sweets; Iftar parties always spreads delicious cheer. Coming back to my tasty meat roll; the best thing is, you can prepare these meat rolls in advance and fry and serve hot when the guests arrive. 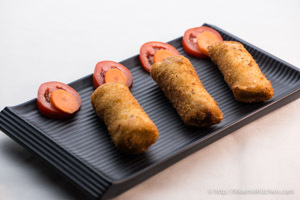 It is a mess free pancake roll stuffed with delightful mix of ground meat / Keema (usually Beef or Mutton) potatoes and spices, covered with bread crumbs and fried to golden perfection! You can add more vegetables like Cabbage and Carrots to the mix to make it a healthier version. You can slice these rolls into bite size pieces and serve your guests as appetizers. Serve with Tomato sauce or mint chutney with a fresh green salad and delight your guests!! Do check my other popular recipes for festive occasions like Special Butter chicken, Punjabi Chicken, Kashmiri Mutton Curry, Whole wheat Naan, Kebabs, Sausage rolls, Vegetable Pizza, Chicken Tikka Pizza, Mutton Biriyani, Chicken Biriyani and Double Ka Meeta. May God purify our body and mind and fill our Homes and heart with His special blessings! 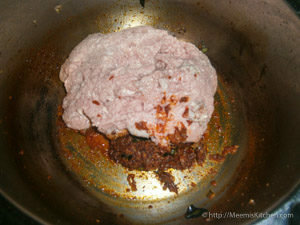 Clean the meat pieces and make Keema. You can also get minced meat from shop. Chop the onions and curry leaves finely. Peel the potato and keep in water. If you want to add cabbage, chop it finely. 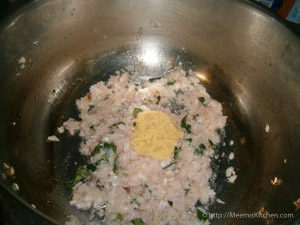 Heat oil in a pressure cooker and add chopped onions and curry leaves. Fry for some time till it turns opaque and add ginger garlic paste. Sauté for 2 minutes and add Coriander, Pepper, Turmeric and Chilly powder. 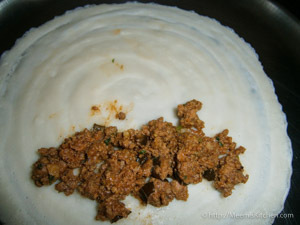 Add the minced meat or Keema, add salt and fry for few minutes till well combined. Cut the potato into fine small squares and add to the meat mix (add chopped cabbage – optional). 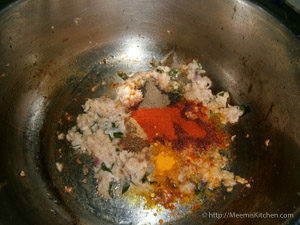 Next, add vinegar and Garam Masala and combine well. 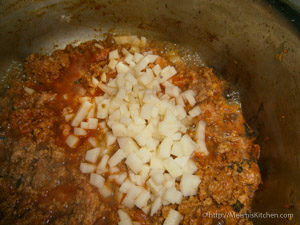 Adjust Salt, cover and pressure cook till tender (Around 8 minutes). If there is any water keep on high flame and dry the mixture, stirring occasionally. Mix in chopped Coriander leaves and keep aside. 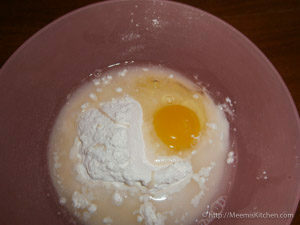 Make a thin runny batter with Maida, salt, 1 egg and water. 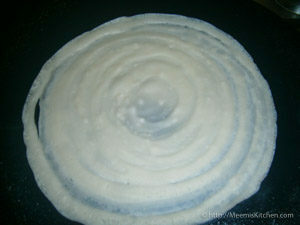 Grind the Bread slices to make coarse bread crumbs or use store brought bread crumbs. Heat a Tawa and make small, super thin pan cakes or dosas with the batter. It should be just done, and not brown on the downside. 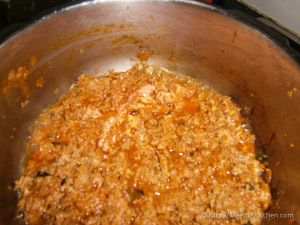 Transfer to a plate and spread little meat filling on one side. 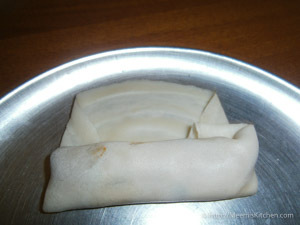 Roll once, fold in the edges and roll tightly till the end. 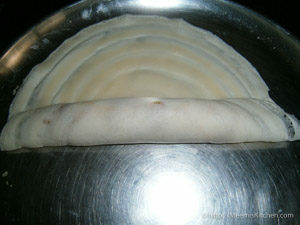 There is no need of paste to seal as the pancake edges will stick well. Dip the rolls in beaten egg and coat with bread crumbs. 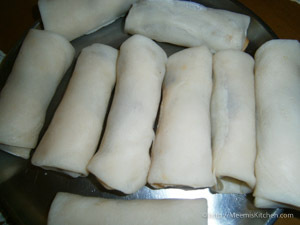 Heat oil in a frying pan and deep fry on medium flame till golden brown or fry these meat rolls on Tawa by spraying little oil. You may slice these rolls into bite sized pieces and serve it hot with tomato sauce and green salad. Check the link: How to make Garam Masala at home. 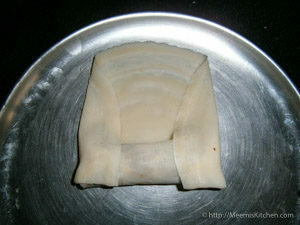 I have used beef Keema for this meat roll. You may use Mutton or chicken. Coriander leaves add to the flavors, mix it after cooking the beef. You may also toast these rolls on Tawa, but deep frying makes it tastier, crunchier on the outside and softer on the inside. Cabbage is optional, but is a great combination with Beef. You may add carrots or peas as well. Pan cake batter should be runny and without any lumps. Do not overcook the pancakes. Make thin pancakes and immediately take it out, when the color changes. For making fresh bread crumbs, use two days old bread which makes it crispier. You may also use readymade bread crumbs. Relish the delicious and nutritious Beef/ Mutton Minced Meat Roll during festive occasions. Please let me know your feedback and suggestions if you like this recipe and share with your friends using the share buttons below. It would encourage me to share more yummy recipes. Thanks and God Bless! !